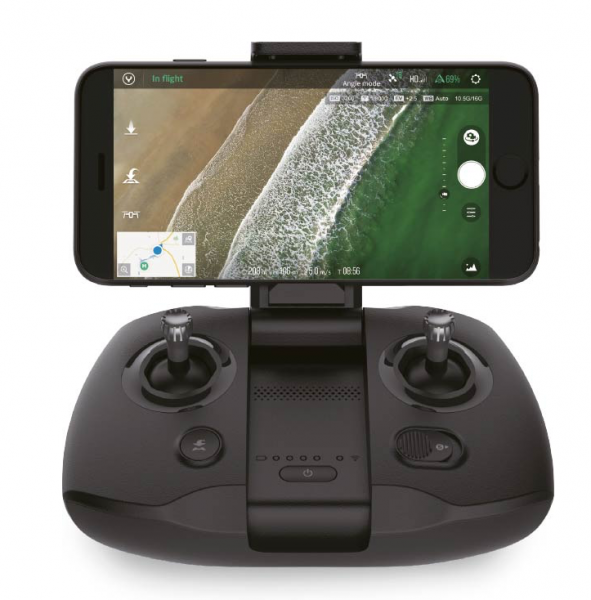 Yuneec is no stranger to making drones, and their latest offering the Mantis Q looks to be a direct competitor to the DJI Mavic Air, DJI Mavic Pro, and Parrot Anafi. 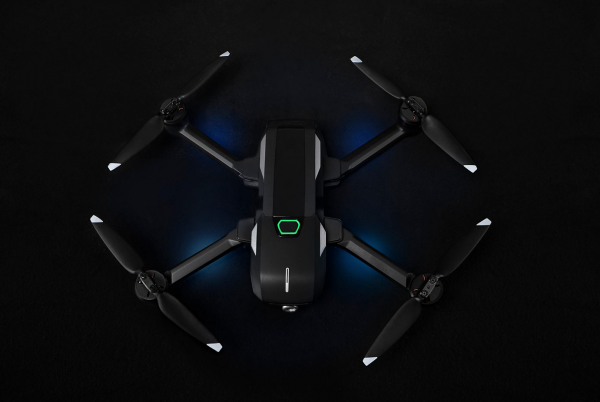 The Mantis Q is a foldable 4K travel drone that at first glance looks almost identical to the DJI Mavic Air. 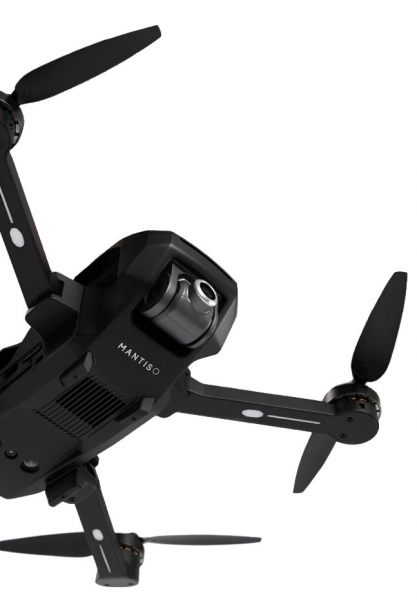 The Mantis Q features voice control and facial detection, and Yuneec claims the drone has been designed to be easy-to-use, and ultra-portable. Using an integrated camera, the Mantis Q can record both photos and videos. 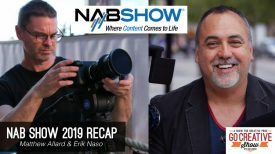 Still images with a resolution of 4800×2700 (16:9) or 4160×3120 (4:3) pixels can be captured as well as video resolutions of up to 4K: 3840 x 2160 @ 30fps. The drone’s camera can be tilted upwards by up to 20 degrees or downwards by 90 degrees during flight. The Mantis Q also comes with automatic flight modes such as Journey, Point of Interest and Orbit Me. The Mantis Q can fly at speeds of up to 13.4 mph in Angle mode, 44mph in Sport mode, and 9mph while flying indoors. Yuneec claims that you can simply smile at the drone to activate face detection and as soon as the Mantis Q sees the user’s face, it will take a photo from up to 13 feet away. In Gesture Control mode, Mantis Q will detect a hand waving and it will take a photo. 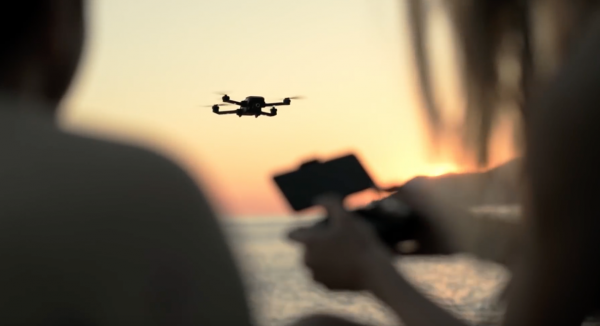 The mantis Q has a Voice Control feature so that users can command the drone just by using their voice. Voice control allows users to take a photo or begin recording video all without having to manually take their hands off of the controls. Mantis Q responds to commands such as “Wake up” for powering on, “Take a picture”, “Record a video” and “Take a selfie”. 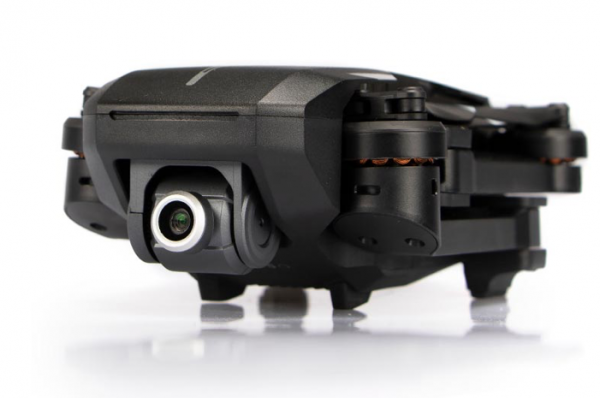 Just like most other drones these days, the Mantis Q has several intelligent flight modes you can choose from. The Mantis Q comes equipped with advanced indoor stabilization technology. Down-facing dual sonar sensors and infrared detection are claimed to make it safe enough to fly indoors and outdoors. Added safety features include a “Return to Home” function and FAA-compliant software. You can fly the Mantis Q with and without the added controller. 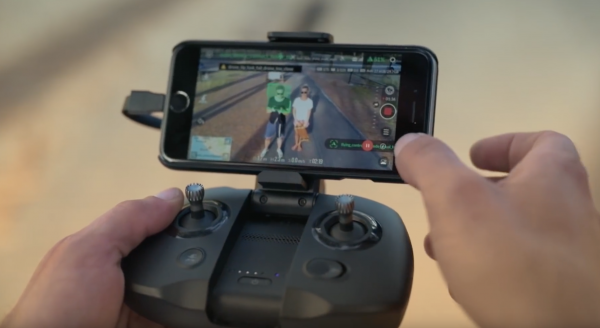 Yuneec claims that when using the controller, a live image can be viewed with a latency of less than (200ms) on a smartphone which is connected to the remote control. The Mantis Q weighs in at 16.9 oz (479g) with a battery attached. It has dimensions of (LxWxH, folded) 15.24cm x 7.62cm x 5.08cm (6″ x 3″ x 2″). The Mantis Q is also claimed to be able to stay in the air for a category-leading 33 minutes. 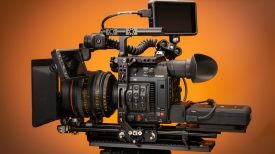 The Mantis Q uses a camera with a 1/3.06 inch CMOS sensor with a camera lens that has an equivalent focal length of 21.5 mm. The field of view is 117°. There is no indication of what the maximum aperture of the lens is. 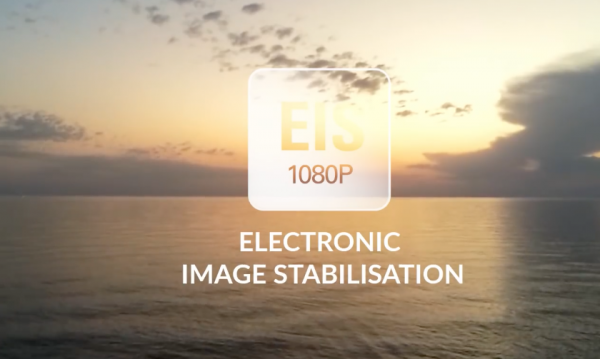 It’s interesting to note that on Yuneec’s website they only list the 3-axis stabilized (Electronic Image Stabilization EIS) system as working in HD. 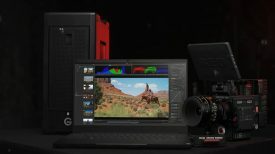 Whether it works in 4K is unknown. If it doesn’t work in 4k then that is a huge problem and this drone won’t really be a DJI Mavic Air or DJI Mavic Pro competitor. The Mantis Q uses a 3S 2800 mAh Lipo Battery which takes approximately 1 hour to fully charge. The Yuneec Mantis Q will start shipping in September for $499 USD. In comparison the DJI Mavic Air retails for $799 USD, the DJI Mavic Pro is $999 USD, and the Parrot Anafi is $699.99 USD. The Mantis Q looks like an interesting alternative to offerings from DJI and Parrot, but there doesn’t seem to be any frame rates other than 30p listed for the drone, and if there isn’t any EIS offered when using the drone in 4K then it’s pretty much a non-starter for me. What do you think about this latest offering? Would you buy a Yuneec Mantis Q offer a DJI or Parrot drone? Let us know in the comments section below.